This article first appeared in The Edge Financial Daily, on April 4, 2016. 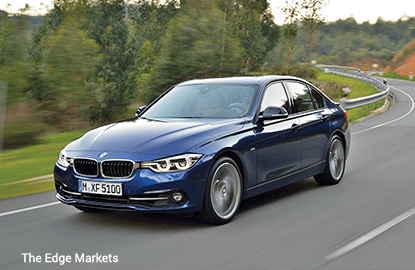 On one hand, the BMW 318i is a compact executive sedan that has developed a cult-like status. On the other hand, it is now an entry-level model to entice younger, new buyers. While it is easy to get sidetracked by how the car is marketed and advertised, the best bet is always to hop inside one and make up your own mind whether it suits you. The facelifted 318i comes with a few changes, both inside and outside. The biggest change is probably the three-cylinder turbocharged petrol engine under the bonnet. It is derived from the MINI Cooper (BMW owns MINI) and is also found in the German carmaker’s 2 Series Active Tourer model. This power plant is a 1.5-­litre version that has been turbocharged, offering more bang than you would expect. While the horsepower figure of 136bhp sounds on the low side, it feels a lot faster in real-life driving. This is especially true when you shift the car into sport mode, one of the settings in the Driving Experience Control system. On the outside of the new and improved 318i, there are not many obvious changes, but the eagle-eyed BMW fan will spot a slightly resculpted front bumper, new aprons with revised air intakes as well as redesigned LED head- and tail lamps. Although subtle, they give the car a sportier look and retain the premium styling that marks it out as a BMW. Inside the vehicle, a splash of chrome has been added to the controls, air vents and central control panel. There is also an improved centre console with a handy sliding lid for the cup holders. And although this is an entry-level car, the interior still has that classy feel you would expect of the upper end of the BMW range, minus a few gadgets. This still leaves you with plenty of technology, such as a plush 6.5in screen and the BMW ConnectedDrive system. The drive was smooth and sophisticated, as I have come to expect from BMW. Indeed, I always have high expectations, and most BMW drivers probably know that the car will deliver power and performance, while offering a smooth and stable ride wrapped up in unmatched German luxury and engineering prowess. The bar is always set high, which puts pressure on BMW every time a new model is launched — or facelifted in this case. The test drive was most enjoyable on a long cruise along the freeway, when the vehicle really comes into its own, although it still performed well in urban settings, as there is enough power to get ahead of the traffic when needed. The suspension is comfortable, and there are also a few clever adjustments to the power steering system’s software. This means the 318i will confidently and effortlessly take on any directional changes that you make. It drove like a much smaller car, both agile and punchy. What also impressed me was the spaciousness of the interior, which could easily transport four adults for a long journey in comfort and style. The problem comes in working out what type of driver the 318i is best suited for. This dilemma is of BMW’s own making, as it has launched so many cars in recent years to appeal to different segments, especially entry-level cars across its 1 and 2 Series models. This should be viewed as a positive, though, as it gives motorists more choice. While this 3 Series is more expensive than the 1 and 2 Series models, a price tag of S$167,800 is still very affordable when you think about what you are getting. While this car appeals primarily to executive sedan buyers on a budget, it is also enticing to a wider group of drivers. For starters, it gives you access to the prestigious BMW badge at under S$200,000 without any hint in its looks that you actually paid this amount. It is also a viable option for BMW fans who are not attracted to the smaller and more compact 1 and 2 Series, or who have perhaps outgrown them. 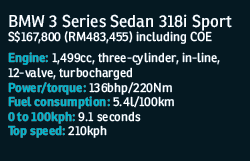 The BMW 318i Sport is not available in the Malaysian market. 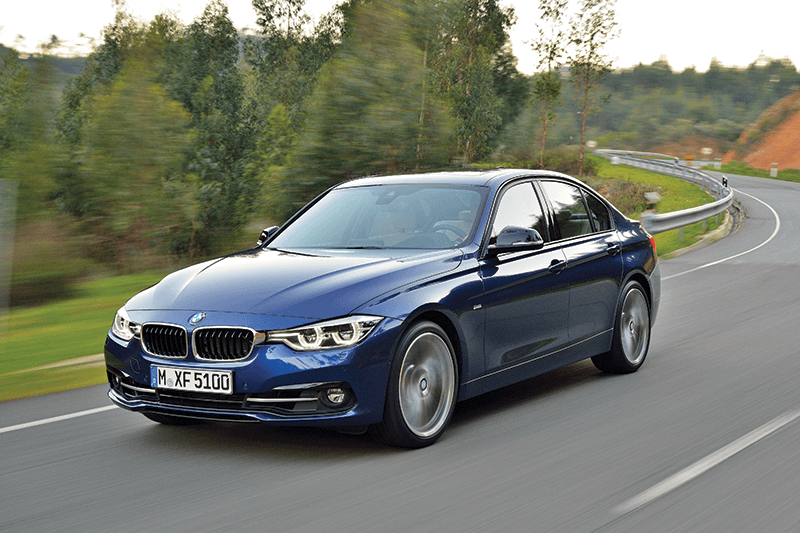 The BMW 318i Luxury, priced at RM202,800, is available in Malaysia. Justin Harper is a freelance journalist with a passion for all things fast.